Why is it very important to build a mailing list? What are the benefits of creating a mailing list in the long run? Why are large business firms stressing more and more importance on building a list of names? 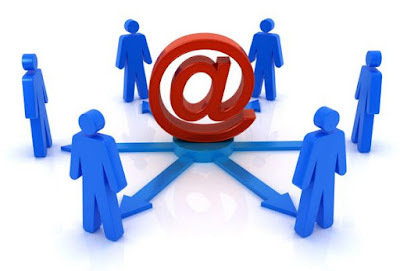 If you are related to online marketing you will know the importance of mailing list. Your email list is very important and critical. It is the most important factor that determines your online success or failure. Maximum revenue generated by an online marketer is through his mailing list. Building an online mailing list has several advantages. You interact with others competing in your niche, you provide them with information about your business. You seek information from others in your niche. This healthy interaction is necessary and a stepping stone in building a healthy business relationship with others. As you partner more and more people in their online campaign, more people will trust you and acknowledge your ideas. Healthy one on one interaction is necessary in getting people to notice you and help you in your online ventures. How do you go about creating a mailing list? Design a newsletter which is very critically designed in order to give people information and get them to subscribe to the mailing list. You may also need a sales pitch or a web page which can be used to build your mailing list. Remember to broadcast your new posts using sites like Twitter. Also you may post your articles on online article archives. Bookmark your post on as many social bookmarking sites you can find. If you wish to grow your subscribers list really fast, you may buy some subscribers,there are number of sites providing list of double opt in subscribers. Join few forums in your niche and actively participate in group discussions, help others and you will get good exposure from such sites. Whatever steps you decide to implement to build your list please do not forget to stick to a definite strategy. This will help create trust and you will benefit from list of people who show faith in you in the long run.